Located on the ground floor of the London Mithraeum, Bloomberg SPACE aims to showcase the best in contemporary art whilst bringing fresh perspectives to the history of this unique site. The latest commission, by acclaimed artist Claudia Wieser. Shift transforms the ground floor of the three-level space with delicately crafted sculptures and collaged wallpaper, welcoming visitors to explore an ever-changing scene where the ancient and the contemporary conflate and collide. Wieser weaves her own visual archive into a patchwork of found images and times, resulting in a collage of different pasts that both cancel out and affect each other. The imagery referenced in her wallpaper design includes views of antique statues, contemporary portraits and film stills (including from the 1976 BBC series I Claudius). This juxtaposition of modern and antique characters draws on Wieser’s exploration of the enduring conditions of human nature — where age-old questions of culture, power, love and family seem relatively unchanged in the city of London as we see it today. 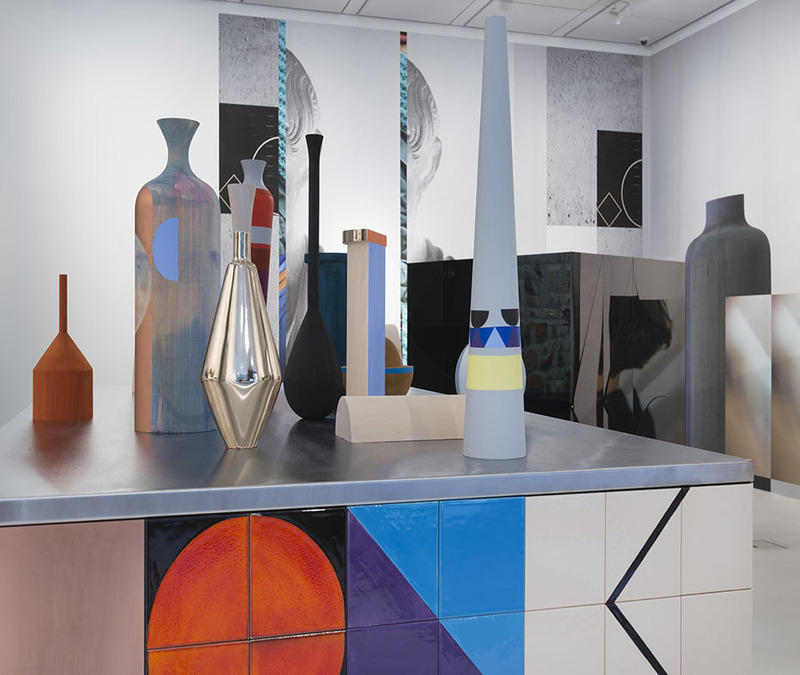 Claudia Wieser has exhibited worldwide at institutions including The Drawing Center, New York, Kunsthalle Nuremberg, Kunstmuseum Stuttgart, Museo d´Arte Contemporanea, Villa Croce, Genoa, and the Contemporary Art Museum St. Louis. She was also included in the group exhibition Hinge Pictures: Eight Women Artists Occupy the Third Dimension at the Contemporary Arts Center, New Orleans, and a solo exhibition at the Smart Museum of Art, Chicago, which travels to the Bemis Center for Contemporary Arts, Omaha, in 2020. Her work is included in several public and prominent private collections, including those of the Contemporary Art Collection of the Federal Republic of Germany, DekaBank Art Collection, Germany, Deutsche Bundesbank Kunstsammlung, Germany, Helaba Art Collection, Germany, Lenbachhaus, Germany, and Sammlung Goetz, Germany. The artist is currently based in Berlin. A series of contemporary art commissions responding to the site’s rich archaeological history.